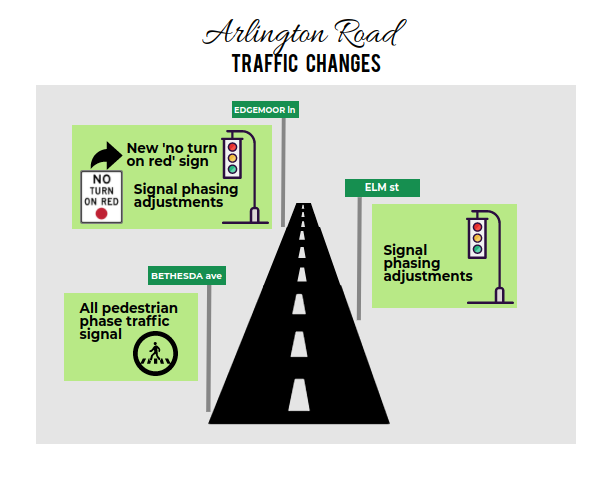 The Montgomery County Department of Transportation announced plans to move forward with the modification of traffic lights and signage at multiple intersections along Arlington Rd. in downtown Bethesda in a December 20 press release. This action follows a multiple-month study of the Arlington corridor in response to requests from area residents to increase traffic safety measures. For the first time, the county is introducing the “all pedestrian phase” traffic signal to provide pedestrians hazard-free crossing on the crosswalks at Arlington Rd. and Bethesda Ave., as a pilot program, according to the release. Other changes include the addition of a lead-phase signal at Moorland and Edgemoor Lns., which provides pedestrians with an advanced walk signal before cars can proceed. Additionally, Edgemoor will receive two signs prohibiting right turns on red in both the north and southbound directions. The county plans to make additional alterations with phasing and timing of the lights to give people more time to cross, MCDOT spokesperson Esther Bowring said. Edgemoor resident Andrea Mones believes that some of these changes will benefit safety in the area, she said. Mones, however, said she knows that pedestrians often take their time to cross and believes altering lights may aggravate already impatient drivers in Bethesda. These particular changes are not necessarily the entire issue, when there are other facets to pedestrian safety the study didn’t address such as brightening streetlights to increase visibility, she said. Bethesda Elementary is another neighborhood stakeholder in considering traffic improvements for the corridor, Bowring said. 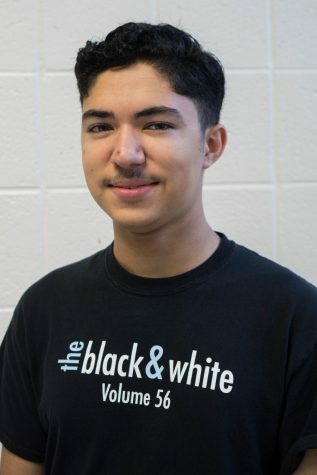 In past years, there have been MCDOT changes in an effort to make the school area safer such as updating a school zone with signs and flashing signs and restriping crosswalk lines, the release notes.